Reliable sources report the bridge on Park Ave. connecting Weehawken and Hoboken is reopened in BOTH directions. A work stoppage took effect when the State ordered numerous construction projects halted due to lack of funding. 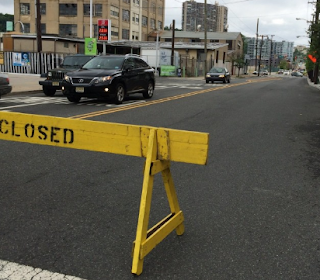 Last night came word the State of NJ intervened and ordered closed the Park Avenue bride connecting Hoboken and Weehawken. If true, this would double the problem as not a single lane will remain in operation. More (likely) bad news to come. Update: The Park Avenue lane remains open but Gov. 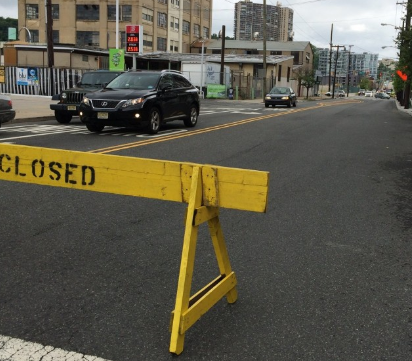 Christie has stopped infrastructure work across the state of New Jersey. The Park Avenue project repairs are unofficially on hiatus until further notice.